President Barack & Michelle Obama home – 5046 S. Greenwood Ave. The view is unstable, secret service is permanently posted in a Black truck and you can’t go on the block unless you have an invitation from neighbors. However, it’s pretty cool to catch a glimpse of the first Black president’s Chicago home. 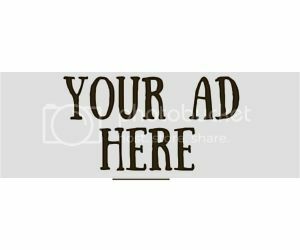 Burr Oak Cemetery – 4400 W 127th St, Alsip, IL. Since 1927 Burr Oak Cemetery has had a reputation for catering to the Black community. This is the final resting place for Emmett Till and many Black notables. Chicago Defender Building – 3435 S. Indiana Ave. Founded in 1905 by Robert Abbot, the Chicago Defender played a great role in The Great Migration, encouraging African Americans to come to the North for a better life. Lorraine Hansberry childhood home – 6140 S. Rhodes Ave. Purchased in 1937 by Hansberry’s father, Craig Hansberry, against neighbors wishes (it was an all White neighborhood at the time). The case went to the U.S. Supreme Court, giving the Hansberry family victory in 1940. Hansberry is the author and playwright of “A Raisin in the Sun”. Dr. Martin Luther King’s Chicago apartment – 1550 S. Hamlin Ave. Dr. King moved to the west side of Chicago in 1966 to address segregation. The apartment building is no longer standing, but the memory of the movement is forever. 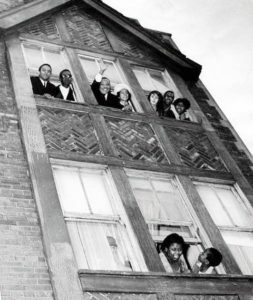 Dr. King & wife, Coretta, waving from their Chicago apartment in 1966. Lutrelle and Jorja Palmer Mansion – 3656 S. Martin Luther King Dr. Lutrelle and his wife Jorja lived in this mansion in the Bronzeville community. Lu came to Chicago in 1950 and once worked for The Chicago Defender. Jorja worked as a community activist. Emmet Till home – 6427 S. Lawrence Ave. Mamie Till Mobley and her son Emmet Till lived in this home in the Woodlawn community. First Church of Deliverance – 4315 S. Wabash Ave. Founded by Reverend Clarence H. Cobbs May 8, 1929, the church was declared a historical landmark on October 5, 1994. Ebenezer Missionary Baptist Church – 4501 S Vincennes Ave. Formed in 1902, Ebenezer was known for its gospel music under the leadership of Thomas Dorsey. Gwendolyn Brooks home – 7428 S. Evans Ave. Pulitzer-Prize winning poet and author lived in this home from 1953 to 1994. Quinn Chapel AME Church – 2401 S. Wabash Ave. Quinn Chapel is home to Chicago’s oldest African American congregation. It was declared a historical landmark in 1977. South Shore Cultural Center – 7059 South Shore Dr. Founded in 1905, the cultural center is where President Barack and Michelle Obama hosted their wedding reception in 1992. Monument to the Great Migration – 2600 S. King Dr. Created by Alison Saar, the bronze figure pays homage to the many families who migrated from the south to Chicago during the Great Migration. DuSable Museum of African American History – 740 E. 56th St. 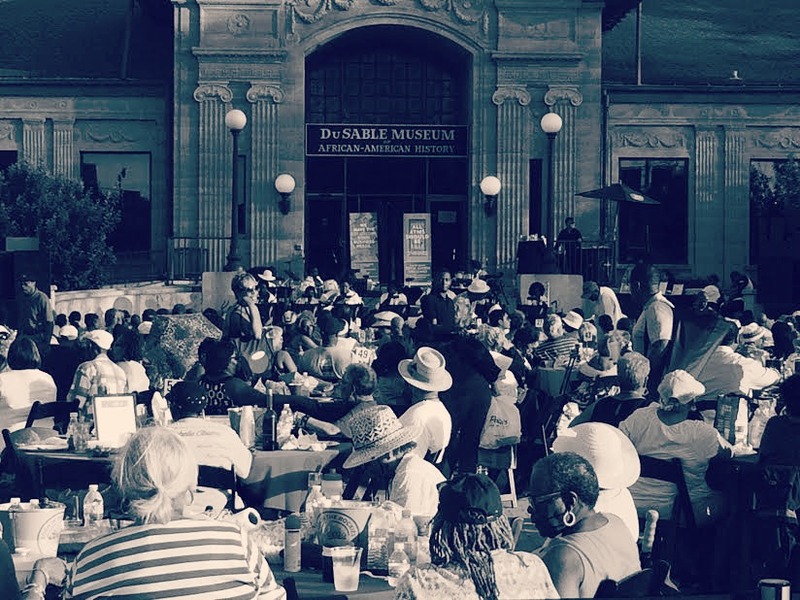 Founded in 1961 by Dr. Margaret Burroughs, the DuSable is a preservation of African American history. Muhammad Ali’s Chicago home – 4944 S. Woodlawn Ave. The boxing champ spent his years of exile at his Kenwood home. Louis Farrakhan home – 4855 S Woodlawn Ave. The leader of the Nation of Islam has lived in Chicago since 1975. The Regal Theatre – 1641 E. 79th St. Built in 1928, the Regal Theatre was frequent stomping grounds for Black musical legends. Now under new ownership, we’re excited to see what’s next for the The New Regal Theatre. Ida B. Wells Barnett home – 3624 S. King Dr. From 1919 to 1930, this was the home of Civil Rights advocate Ida B. Wells and her husband, Ferdinand Lee Barnett. Victory Monument – 3500 S. King Dr. Created by Leonard Crunelle to honor the Eighth Regiment of the Illinois National Guard that was an African-American unit that served in France during World War I. It was declared a landmark in 1998. Fred Hampton apartment – 2337 W. Monroe St. On December 4, 1969, 21-year-old Fred Hampton was shot and killed by Chicago police in his apartment. The building is no longer standing, but Hampton’s son, Fred Hampton Jr., holds a memorial on the block every year. Harpo Studios – 110 N. Carpenter St. Founded in 1986 by Oprah Winfrey, The Oprah Winfrey Show filmed at this location for 25 years. It was recently purchased by McDonald’s headquarters. Johnson Publishing Company – 820 S. Michigan Ave. Founded in 1942, the historic building is currently available for purchase, but the vintage signage remains. Overton Hygienic Building – 3619-27 S. State St. Overton Hygienic Company was once one of the country’s largest producers of African-American cosmetics. Griffiths-Burroughs House – 3806 S. Michigan Ave. Built in 1892, this was the original home of the DuSable Museum founded by Charles and Margaret Burroughs. 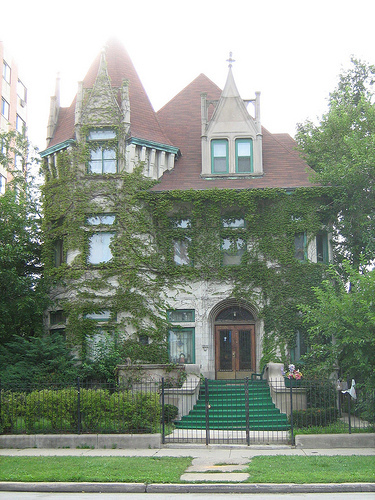 Richard Wright home – 4831 S. Vincennes Ave. Author of Native Son and Black Boy spent 1929 to 1932 at this residence. Roberts Temple Church of God in Christ Building – 4021 S. State St. Declared a landmark in 2006, Roberts Temple is the church that held funeral services for Emmett Till in 1955. South Side Community Art Center – 3831 S Michigan Ave. Founded in 1940 by Dr. Margaret Burroughs, the South Side Community Art Center is the first Black art museum in the U.S.
Supreme Life Building – 3501 S. King Dr. Built in 1921, Supreme Life Insurance Company provided life insurance to the African American community. The building is now the Bronzeville Visitor Information Center. Wendell Phillips High School – 244 E. Pershing Road. Opening in 1904, Wendell Phillips was the first predominantly Black high-school in Chicago. West Town State Bank Building – 2400 W. Madison St. Built in 1930, it was once home to African American radio stations hosted by Jack L. Cooper and Al Benson. It was declared a landmark in 2003.